A while ago I drew a comic about playing chess on a roller coaster. Various xkcd readers took up the challenge. Pictured above: Andrew Burke, Chris Ranker, Ryan DowlingSoka, and Chance Brown. 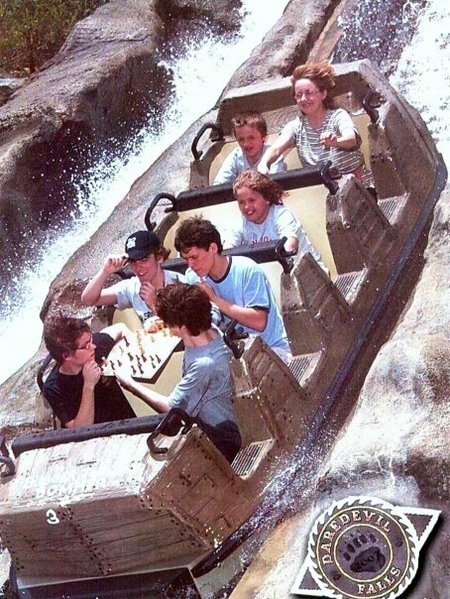 To see more pictures of chess on rides, go to xkcd.com/chesscoaster. If you think you can do better, go for it, and send the pictures to rmunroe@gmail.com. But remember, I am not advocating doing anything dangerous unless it’s really cool. I know this sort of thing happens with floating-point math, but I didn’t expect it to break this badly and inconsistently on such a simple task. (edit: at that point, I was actually thinking of this as a weight problem (the variable was $weight), not a monetary problem, so separate cents math wasn’t an obvious choice). Thank you to Chris Shabsin and Nick Moffitt for helping me pin down the problem.